I don't want to derail, but what's up with the date? Not a big deal. I am accused of that a lot. 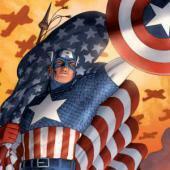 But in all seriousness, thank you for the heads up about the comic shop. From what you are saying and what the other buyer said, it definitely sounds intentional. Were there any conversations in digital form (email, text) in which you have a record of the "not restored" claim? Or was everything verbally negotiated? I'll do you one better.... would you pay the FMV of an unrestored book and be ok with a restored copy. As I said earlier, it was a comic con, Who the hell has a conversation in digital form. For christ's sake, would you actually read the posts before trying to be a witty devil's advocate. Its dumb statements like this that let these types of thieves thrive in this hobby. Well, it would appear this thread has the ability to go back in time and forward in time. I'll have to check with Doc Brown on what's going on with the flux capacitor. I think we all want to know, why is BUTM using Bing? At work it's the default search engine. My machine is too locked down to change it. Um, no it isn't. Not even a little bit. Exactly. This is not on Red_Hood even a tiny bit. This can only be laid at the feet of the creeps that knowingly offered/sold restored books to a CUSTOMER and lied about it. To his face. He took their word on this, and then not only the book in question but two other books came back restored. They have deliberately altered books and then lied about it. When called upon to rectify this issue they ignored the buyer. This was a premeditated act to defraud a customer, lie about it for good measure and then ignore the customer. It's morally wrong, reprehensible and bottom line - NOT how people should treat each other. and I'm calling BS on them. There may not be legal recourse available to the buyer but to Hell with legal recourse. This is a case of right or wrong and how you treat other people. There's no proof that they knowingly sold restored books and lied about it. It's possible they bought a collection or a bunch of books off one person that had a lot of color touch. For example I bought 6 GA books from one seller at the Calgary Expo and 4 had color touch. I could have easily passed those on if I hadn't noticed. What's very disturbing is that the seller is apparently ignoring the buyer and the problem. Anyone can make a mistake but everyone should fix their mistakes. Full disclosure, I know Dave of Dave's Comics. He set up across from me at a number of Calgary Expos. He seems like a nice enough guy. That is true - no proof they knowingly did it. But 3 for 3 on restored books? And the buyer said they were moderns and then after being contacted....silence. "I have met these guys at a Calgary Expo. They bought some books off of me, one was a Weird Mysteries #5 that was missing the centerfold ( which I did disclose ). I later found they sold that book to someone who was a member on these forums and how I found out is the buyer was proudly showing the new acquisition in the "recent in your collection" thread. Recognizing the book, I sent the buyer a PM informing him of the missing centerfold to find out if he was informed to find out he was not, he was rather upset by the news." With everything I have read here I just have a hard time giving the benefit of a doubt to them at all. It all smells unsavory, unscrupulous and dishonest. And I swear I'm not a witch-hunt and burn the village type of guy. I'm just sharing my thoughts and they're not particularly endearing to the seller here. Friendly neighborhood public service bump. More people need to read this warning about these thieves. Exactly. If you notice color touch on a book when first inspecting it, why would you go ahead and buy it? Seems like a recipe for disaster if you ask me. it was evident that the book was. There is no recipe for disaster as everything was addressed, I had my opinion, they had their opinion and stipulations were made to deal with it if it was restored. It comes down to the seller's integrity and honesty. It's solely on them. 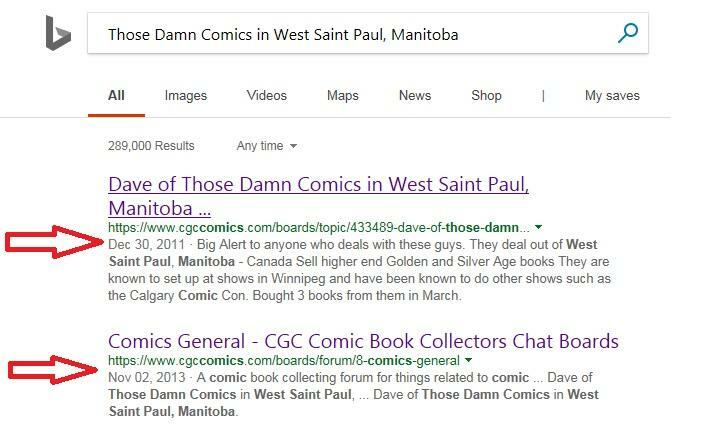 I’ve known Dave for quite awhile and have gotten some good deals off him, Winnipeg being the gossip central that it is in the comic community, I’ve never heard anything bad about him other than grading discrepancies. Seems pretty weird that he would intentionally sell you resto’d books knowing you would be pressing and submitting them. I seen the HOS you bought just not out of the bag. You sent it to CGC knowing it was touched?